What is Crossfit 819‘s competitive programming? Crossfit 819 offers additional workout programming for members who want to add to their Crossfit class regiment. 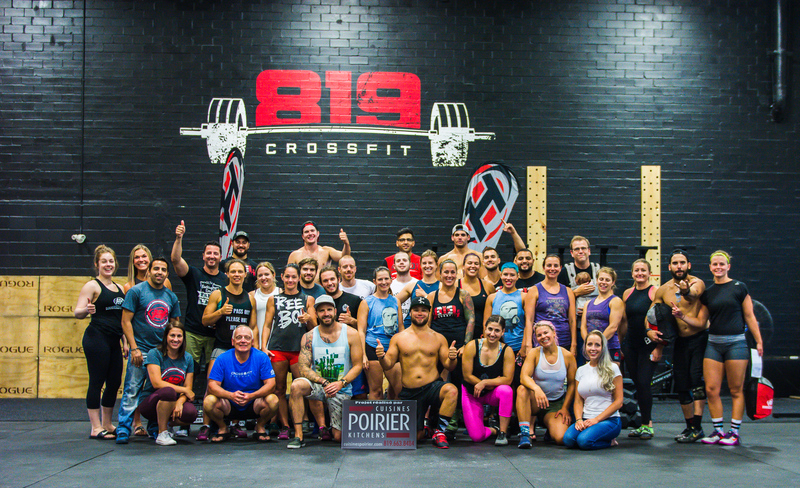 This 100% authentic programming is prepared by Crossfit 819’s head CrossFit coach, Simon Buteau, and 819’s Crossfit Games athlete & coach Mylène Arsenault. After years of competing in the sport, these two coaches definitely know how to help you reach your goals. The program consists of 7 unique workout sessions, one for every day of the week . This includes; 5 full training days, 1 active recovery day, and 1 rest day. A normal training day will consist of lifts, WODs, gymnastics and much more. The programming also takes into consideration Crossfit events so that you maximise your performance if you decide to partake in these activities. For this reason, be prepared for changes to the programming during the Opens as the workouts will prepare you for the Open’s WODs– the coaches have you covered!